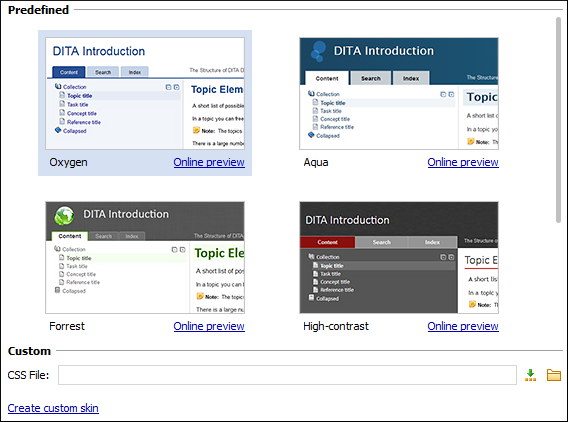 One of the new features of Oxygen 16.0 is the option of setting a skin for the WebHelp pages created by the DITA WebHelp transformation or the DocBook WebHelp transformation, in the form of a CSS stylesheet that modifies the default look of all WebHelp pages in a consistent way. The WebHelp Skin Builder is a small Web app that allows you to configure many CSS properties of a large palette of elements in the header area, the content area or the Table of Contents area of a WebHelp page, like: background color, border, margin, font properties, text properties, adding a logo image in the header area, etc. 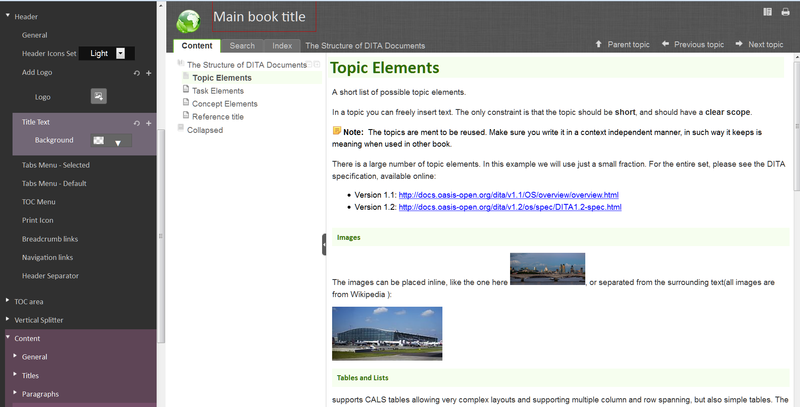 The properties are grouped by type of component of a WebHelp page like: title, paragraph, list, figure, table, etc. Once created with the WebHelp Skin Builder and set in the Oxygen WebHelp transformation as a custom CSS skin, it can really give a professional look to a set of WebHelp pages published on your company website, which has the potential to impress your users. Give it a try and let me know what you think!